Click the read more button to find out this week’s information from Centers for Disease Control and Prevention (CDC), Centers for Medicare and Medicaid Services (CMS), Homeland Security, Federal Emergency Management Agency (FEMA), Assistant Secretary for Preparedness and Response (ASPR), Hospital Preparedness Program (HPP), Assistant Secretary for Preparedness and Response Technical Resources, Assistance Center, and Information Exchange (ASPR TRACIE), Virginia Hospital and Healthcare Association (VHHA), Virginia Department of Health (VDH), Virginia Department of Emergency Management (VDEM), and other miscellaneous sources. We would like to thank everyone who attended our daily coalition conference calls, and a special thank you to those who provided information during them in preparation and response to Hurricane Florence. Also, thank you to those healthcare staff that posted information using the Virginia Healthcare Alerting and Status System (VHASS). Your information allowed the regional healthcare and public health staff to provide a common operating picture through the development of the daily Situational Reports (SITREP)s. It is times like this that we all understand the need to prepare for disasters and come together to ensure the safety and welfare of the patients, residents, staff, and visitors. We look forward to the continued collaboration with each of you. Wow! Our website has reached over 1,400 viewers. Let’s keep it going by informing anyone who has an interest in the Regional Coalition and the information we provide. To access our website click here. Don’t forget to visit the Events calendar. There you will find training and education opportunities. We have developed a one page understanding of the regional coalition that can be shared between coalition partners. To view the regional “one-pager” please click here. 1. Medicare and Medicaid Programs; Proposed Regulatory Provisions to Promote program Efficiency, Transparency, and Burden Reduction. The Centers for Medicare & Medicaid Services is opening a comment period of 60 days for several actions that can be found here. There are recommended changes as shown below specifically related to emergency preparedness. When you click on link, it will take you to the CMS.gov Newsroom. 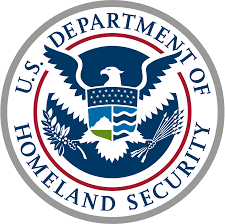 At the bottom of the web page, you find another link to the actual Portable Document File (pdf) document from the federal register, or you can click here. These changes are NOT approved at this time and should not be used as a guide for emergency preparedness. We continually assess our Emergency Preparedness policies to ensure that facilities maintain access to services during emergencies, provide safety for patients, safeguard human resources, maintain business continuity and protect physical resources. This proposed rule will continue to ensure that these expectation are met. At the same time we are proposing to reduce the complexity of the requirements to ensure that providers are spending more time and resources on actual patient care. 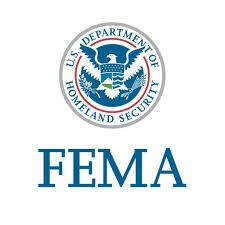 Emergency plan: Eliminating the duplicative requirement that the emergency plan include documentation of efforts to contact local, tribal, regional, State and federal emergency preparedness officials and a facility’s participation in collaborative and cooperative planning efforts. This information is already contained in other regulations requiring that these activities occur. Training: Give facilities greater discretion in revising training requirements to allow training to occur annually or more often at their own discretion. Overly restrictive training requirements can have unintended consequences in preventing facilities from focusing their training efforts on what makes sense in unique circumstances. Testing (for inpatient providers/suppliers): Increasing the flexibility for the testing requirement so that one of the two annually-required testing exercises may be an exercise of the facility’s choice. While two annual tests are still required, flexibility is provided so that one of those training sessions can be done through various innovative methods such as simulations, desk top exercises, workshops or other methods that may best meet the needs of the facility and the patients that they serve. The second training must continue to be a full scale community exercise. Testing (for outpatient providers/suppliers): Revising the requirement for facilities to conduct two testing exercises to one testing exercise annually. Additional testing will be at the facilities’ discretion based on unique needs. This will allow facilities to modernize their testing to use innovative methods such as desktop drills and simulations. 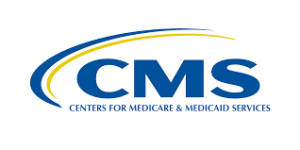 The Center for Medicare Services (CMS) has posted five rounds of Frequently Asked Questions pertaining to the Final Rule on Emergency Preparedness. Two previously posted rounds (two and three) were revised June 1, 2017. The Infectious Disease Update for the HPH Sector is prepared each month by the Johns Hopkins Center for Health Security. The link to the highlights can be found here. CDC: Rates of three STDs reach record high in U.S.
First ever case of monkeypox recorded in U.K.
VDEM works with local government, state and federal agencies and voluntary organizations to provide resources and expertise through the five mission areas of emergency management; prevention, protection, mitigation, response and recovery. 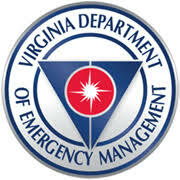 To learn more about ways VDEM is working to improve disaster preparedness, response and recovery, visit www.vaemergency.gov. We are pleased to announce that the Northwest Region Healthcare Coalition has begun receiving requests to sign a Memorandum of Understanding (MOU) between the coalition and non-hospital facilities. The MOU is designed for healthcare facilities that are not classified as an Acute Care or Critical Access hospital, and it is good for five (5) years before it will need to be renewed. If your your organizations resides with the Northwest Region and has not signed the MOU, you can contact either the Regional Coordinator or the Medically Vulnerable Populations Coordinator to find out more details. We are expanding our outreach to healthcare agencies within the region as a way of offering assistance to you and your organization. We ask for everyone’s help to spread the word by talking with your colleagues about the Northwest Region Healthcare Coalition. You can contact us by clicking the Contact Us tab on our website.